A forest thought to be lost, is rescued and its memory will live on in the beautiful Hydrowood timbers. Trees plucked from the waters will be returned to their former glory in the shape of furniture, boats and bespoke building materials of the highest quality. Discover how these trees were lost in the past and are now rediscovered for the future. Some claim The Pieman River was named after cannibal convict Alexander Pearce. It was in fact another convict, Thomas ‘The Pieman’ Kent, a former baker who was recaptured at the mouth of the river in 1822 who gave The Pieman its unusual name. It was convicts like Thomas Kent who made up Tasmania’s first forestry workers, logging the Pieman River region to fuel the building of pioneer settlements. Huon Pine was the wood of choice as a building material due to its ability to withstand weathering and rot, and later as the perfect shipbuilding material for the English Empire’s fleet. The inaccessible and treacherous nature of the river mouth meant that a lot of the forest in the region was left untouched. 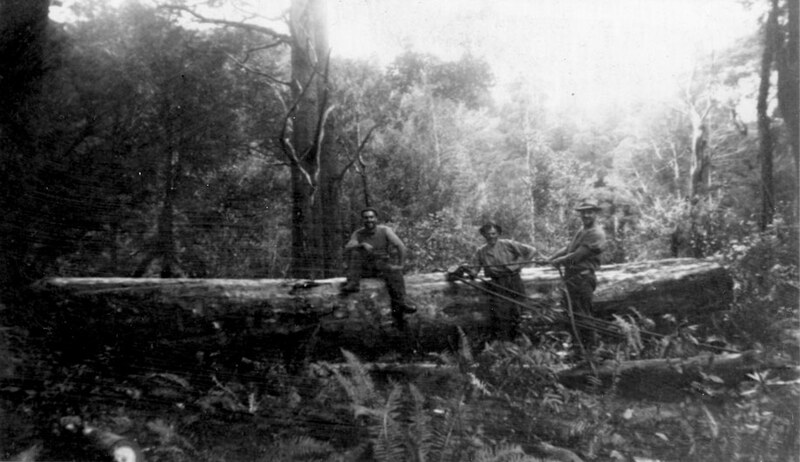 When plans to dam The Pieman were made in 1971, logging returned to the region. The area where Pieman Lake was to sit was opened up to forestry to avoid wasting the timber. But, once again the regions dense forest and inaccessible nature made for slow going and by the time the dam was ready to be filled only a small portion of the lakes footprint had been logged. Time and tide wait for no man, and as the Reece Dam’s water flowed and filled up Lake Pieman in 1986 the remaining forest was covered over with water. There, at the bottom of the lake, the lost forest has sat until now. Today Hydrowood returns to Lake Pieman with the same pioneering spirit as the original settler to finish the job.